This statement paper was released August 2016 and was the result of an in-depth review of the scientific research on the effect of added sugars on children’s health. The reviewers included all original research studies that were conducted on humans (not in petri dishes) as well as any systematic reviews. The results produced three key recommendations to strive towards in decreasing the intake of added sugars in the diet of children. So what is ADDED sugar? And why should we care about it? Added sugar (also referred to as free sugar) is any sugar that is NOT naturally occurring in a food. For example, sweetened yogurt has both natural sugar and added sugar. We care about added sugar because the research tells us that it contributes to a diet that is energy-dense and nutrient-poor and increases a child's risk of developing obesity, cardiovascular disease, hypertension, obesity-related cancers and cavities. Are kids really eating too much added sugar? Data from the American NHANES Survey (National Health and Nutrition Examination Survey) from 2009 to 2012 tells us that added sugars comprise an average of 16% of total energy intake (or calories) for children 2-19 years old and that these children, on average, consumed 19 teaspoons of sugar a day! In case you were wondering, this is what 19 teaspoons of sugar looks like. Alright … you’ve convinced us! Give us the guidelines! 1. Children and adolescents 2-18 years should consume less than 25 grams (~ 6 teaspoons) of added sugars per day. 2. Children and adolescents 2-18 years should limit their intake of sugar-sweetened beverages to one or fewer 8 oz (250 mL) beverages per week. 3. Children under 2 years should avoid all added sugars. That's the meat and potatoes of it ladies and gents. How do I look for added sugars? Can I look in the ingredient list? You sure can! I have taken the liberty to bore you to tears and list just a few of the different words that mean sugar so you can flag them when you are perusing through ingredient lists. Remember that ingredients are listed per weight volume such that the first ingredient on a food label is present in the greatest quantity in the product while the last ingredient is the least abundant. Does the Nutrition Facts Panel list ADDED sugar? No. Our current nutrition facts panel in Canada only lists TOTAL sugars (both naturally occurring and added sugars). The broad category where sugar falls under is carbohydrates. Carbohydrates can be subdivided into 3 main types: starch, fibre and sugar. Our current food labels in Canada separates out fibre and sugar and then anything that is leftover is starch. Why don’t they list added sugar? There are proposed food label changes coming that you can read more about here. (2) However, despite the attempt to increase awareness re: added sugars, the new labels still will not differentiate between naturally occuring sugars and added sugars. For us dietitians, this is like adding salt to an open wound! Very painful!! (However, if you live in the U.S., lucky for you!! Beginning in July 2018, the amount of added sugars will be listed on U.S. food labels). Is there any way I can calculate the teaspoons or grams of added sugar? I absolutely love this app! It was created by the makers of the documentary Sugar Coated, in collaboration with the University of Toronto Department of Nutritional Sciences. - Track your own intake of added sugars … and your kids too! - And if your food product isn’t listed in the app? Why simply scan the barcode and the nutrition team will calculate the added sugar content to get it available for tracking ASAP! The researchers took a look at all of the available research on calorie-free sweeteners (i.e. aspartame, saccharine, and sucralose), also referred to as “non-nutritive sweeteners”. However, the data is sparse both for or against their routine use. Therefore, no recommendation came out of this current analysis, highlighting the need for more research in this area. Sick of me talking about sugar already? That’s fair. I’ll stop now. It’s time for my cup of tea anyways. Pardon-me? What’s that you say? 2. Proposed food label changes to the nutrition facts table. 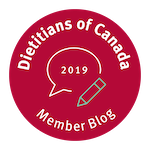 http://healthycanadians.gc.ca/health-system-systeme-sante/consultations/food-label-etiquette-des-aliments/nutrition-facts-valeur-nutritive-eng.php. Accessed September 16, 2016. 3. OneSweetApp. http://sugarcoateddoc.com/the-app/. Accessed September 16, 2016. If you need more practical help for decreasing the intake of added sugars in your child's diet, or your own, look no further. We are here to help you!